The entire community of the underground rap world was shocked when Gustav Åhr, known as Lil Peep released part 2 of “Come Over When You’re Sober”, his debut studio album on Nov 9. Tragically, Lil Peep’s life was cut short after taking Xanax that was cut with fentanyl on Nov 15, 2017. With his devoted fans grieving his sudden death, Lil Peep’s management decided to release previously unreleased music. His first song released included Spotlight, which features Marshmello, an American music producer. 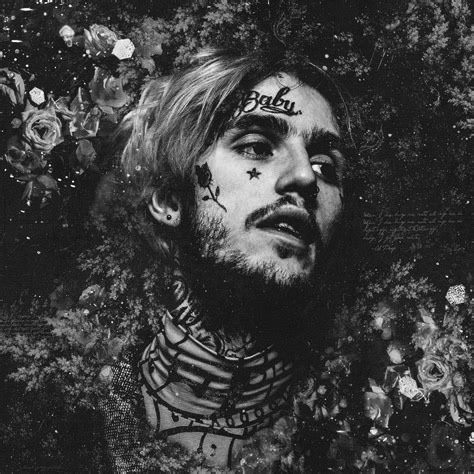 Lil Peep’s management later released the first snippet of his song Falling Down, also featuring the late rapper XXXtentacion. The album was announced to be released Nov 9 and has been a huge success across social media and musical charts. It made me feel so happy to hear that they were releasing the second part of Come Over When You’re Sober Pt 2. The album cover revealed one of the most recent pictures of him and included his various drawings, which gave the album some of Lil Peep’s personality. Being a diehard fan of Lil Peep, I kept listening to the singles leading up to the second part of the album. I found myself playing his songs five times in a row, and constantly panned over the music videos each time. Each video possessed something much more than art; it possessed identity. Even if this was a first-time listener hearing Lil Peep, they could get a feel for the type of person he was just by watching those three minutes: a loving individual who didn’t feel confident about themselves, a series of heart breaks, abuse, and mental illness. My favorite part of Come Over When You’re Sober Pt 2 had to be Lil Peep’s ability to experiment with a new sound and style. Lil Peep always had a relative popular following, but it really kicked off after the release of part 1 of Come Over When You’re Sober. Having that relatively small following granted him the ability to produce a new style of music which I loved, whether it’s using more guitar strings in his instrumentals or demonstrating his vocal range, there’s always something new to find each time the album plays. The lyrics were very personal, and I found myself starting to tear up at some songs. Some of my favorite songs from the album include but are not limited to Cry Alone, 16 Lines, White Girl, IDGAF, Fingers, and Runaway. I also appreciated the release of the album on many different formats such as CD, vinyl, cassette, and various bundles involving these two. Lil Peep’s management also released merchandise that Lil Peep designed, since he loved to draw and make merchandise whenever he could. The LP version includes various art he produced throughout the inside of the LP cover, paying an homage to his creative personality. The only thing I didn’t like about the album is that it’ll probably be the last album we see of Lil Peep. As a listener, we can’t be sure how much unreleased music he has, but the fact Come Over When You’re Sober Pt 2 has the chance of being the last album made me come to the sad reality that he’s been gone for almost a year. I would rate the album 10/10. A piece of artwork created by DJ Diabetes in memorial of his death. Lil Peep, his real name Gustav Ahr, died Nov 15, 2017. His death shocked many fans.